4. Customer Service System Web Page ေပၚလာပါက Name ေနရာတြင္ မိမိ CPE & Phone Number (eg .. 010-xxxxxxx) ကိုထည္႔ေပးပါ ..
5. 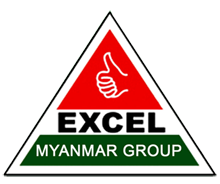 Password ေနရာတြင္ မိမိ McWiLL UID Card မွ UID Number (eg .. 166xxxxxxx) ကို Calculator အသံုးျပဳျပီး decimal မွ Hex သို႕ေျပာင္းလဲေပးပါ ... ေျပာင္းလဲ ျပီးစီးေသာ Hex နံပါတ္ကို password ေနရာတြင္ ရုိက္ထည္႔ျပီး login ျပဳလုပ္ပါ ..
7. Bill Query ကို Click ႏွိပ္ျပီး မိမိ Call Detail List ၾကည္႔ရႈလိုေသာ လကို ေရြးျပီး Query ကို Click ႏွိပ္ျပီး Call Detail List ကို ၾကည္႕ရႈႏိုင္ပါသည္ ..
9. Recharge ကို Click ႏွိပ္ျပီး Number ေနရာတြင္ CPE ၏ Phone Number ကို ထည္႔ေပးပါ .. Confirmation ေနရာတြင္လည္း CPE ၏ Phone Number ကို ထည္႔ေပးပါ .. Card Password ေနရာတြင္ Top Up Card (ေငြျဖည္႕ကဒ္) မွ PIN No: (ခဲျဖစ္ နံပါတ္) ကို ထည္႔ျပီး Ok ကို Click ျပဳလုပ္ပါ .. ျပီးလွ်င္ ေငြျဖည္႔ျခင္း ျပီးစီးပါက Logout ျပဳလုပ္ျပီး Account မွ ျပန္လည္ထြက္ႏိုင္ပါသည္ ..